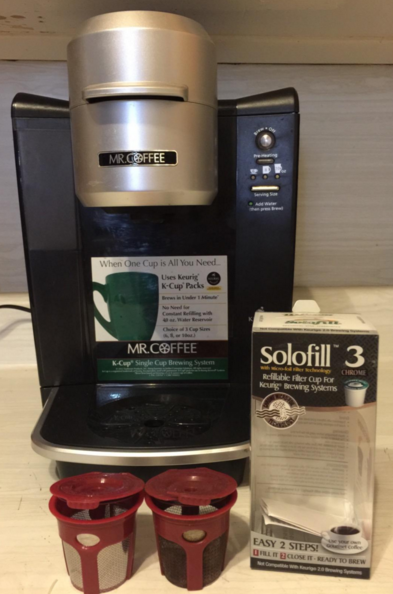 I've used the k3 Chrome for about a year in a Mr. Coffee K-cup brewer. We sometimes have had to press really hard on the brewer to get it to latch when using the K3, and I think that eventually pushed something out of alignment in the brewer, because it won't latch at all now with the K3. It will still latch with the commercial k-cups, but I'm going to have to buy a different brewer now, since I'm not willing to stand there and hold it shut by hand. 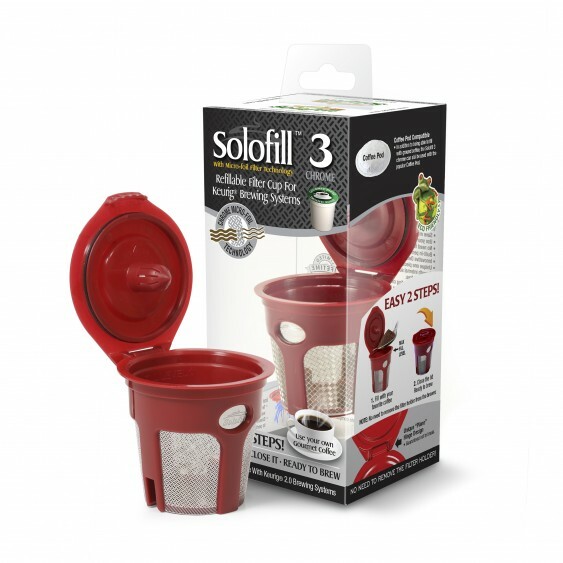 What makes this stand out as an excellent product is the little rubber gasket around the upper lid which keeps water from leaking out under pressure. I’ve now had this for almost a year and it’s holding up perfectly with no problems at all. This filter works really well in my K-Cup coffee maker. I use them for both coffee and loose tea. The foil filters do a great job of capturing all the grind other than the most microscopic powder. I have several on hand to make it easy to make coffee for several people without cleaning the filters immediately. After several months, the hinge and the seal on the top of the filter are still in good shape. 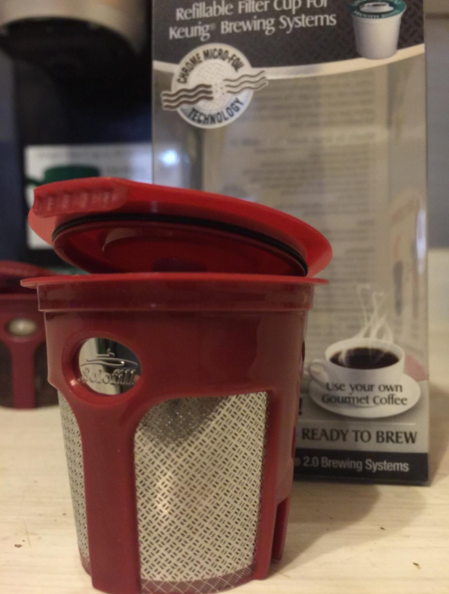 If you want to use your own coffees and teas in your Keurig while saving a little money on each cup, this filter is the way to go.